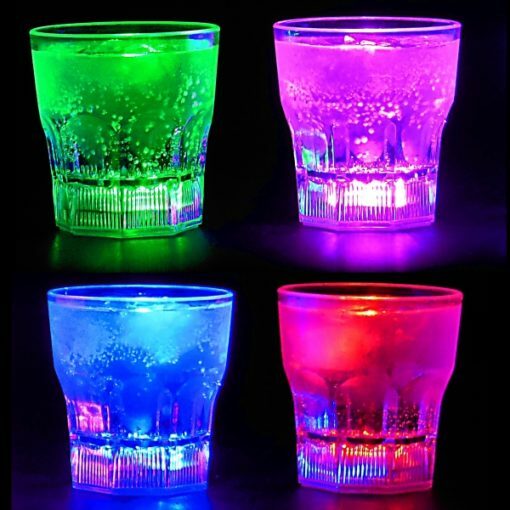 LED LIGHT UP CUPS – this set of four light up LED tumblers will add a whole new dimension to your next party! 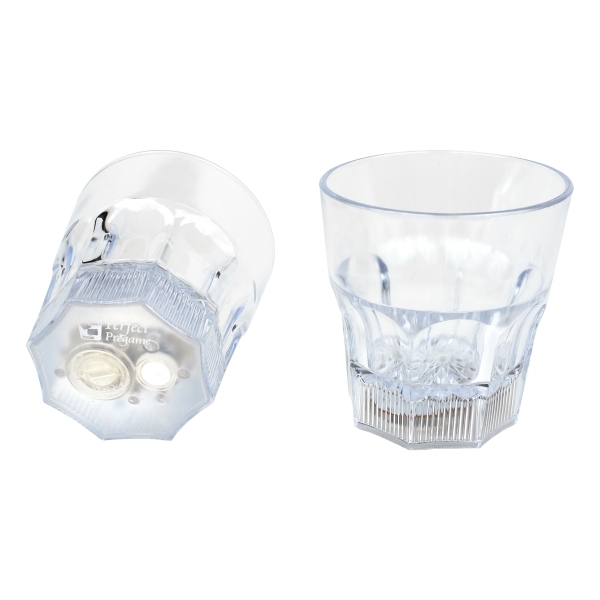 When the sun goes down or the lights go out these cups help your guests remember which one is theirs while adding a fun ambiance to your gathering. 4 COLORS – every set comes with one each green, blue, red, and pink light up cups. The cups are controlled by an on/off button on the bottom. 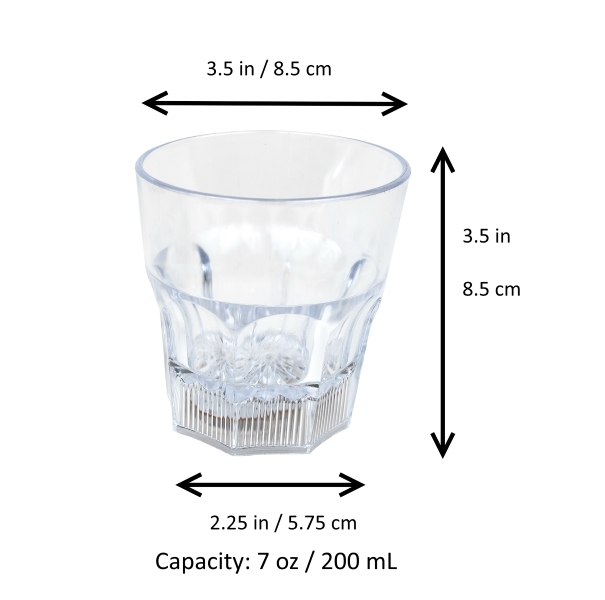 The cups run on three button size batteries apiece, which are all included and can provide up to 72 hours continuous use. UNIQUE – whether you’re looking to add a fun new dimension to your next adult get together or give your kids an extra reason to drink their juice, pretty much everyone who sees these will agree that they are just plain cool! 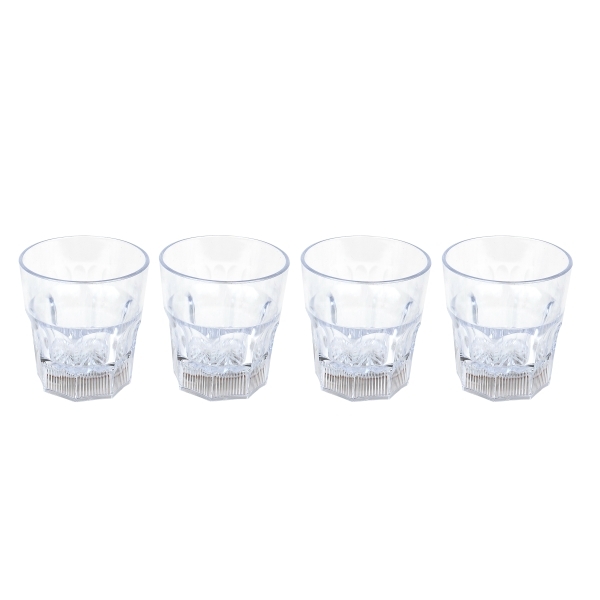 HIGH QUALITY – made of BPA-free completely non-toxic acrylic these cups are both sturdy and light weight. 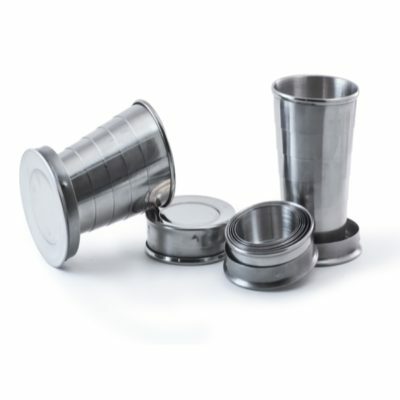 Each tumbler holds 7 oz or 200 mL of liquid. GREAT GIFT – people love to receive gifts that they will actually use! Such a cool item begs to be used and we can practically guarantee whether it’s a gift for a boyfriend or girlfriend, family member or friend they will find a reason to use these as soon as possible! Take your party to the next level! 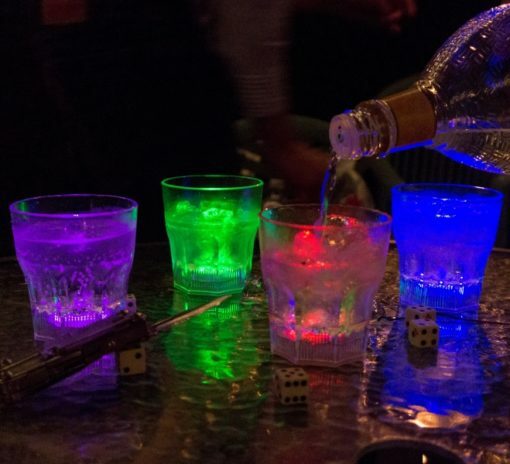 Add these unique light up cups to your repertoire today! This wasn’t something I needed since I have plenty of glasses. But they looked really cool online so I bought them. They are completely worth the price. The light in each glass is quite bright and the difference in colors is obvious whether the room is fully lit or not. The glasses are completely clear until the light is turned on. They are the perfect size for a cocktail and have already been employed in such a fashion. I like how bright they are…I did think they were not going to work at first but after I opened the bottom & flipped the batteries they all worked just fine…a xmas gift for my father in law & he loves them! We purchased these glasses to add to our kids’ holiday dinner table and make it festive and bright. The glasses were of good quality and a perfect size for our children. Delivery was exactly as promised. Looking for to using these for river cruises on my boat. 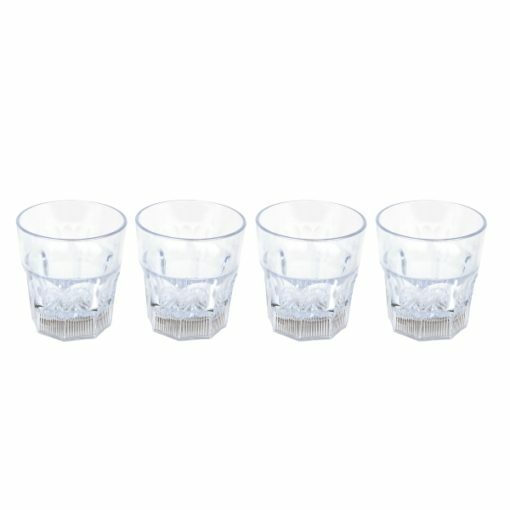 These cups worked really well and got the PARTY STARTED RIGHT! Some of the cups came to me with dead batteries, but I contacted the seller and he shipped replacement batteries in no time, and now they all function perfectly.